From the decade of music you just can’t get enough of. It’s Sounds of the 80s! Where these vintage specialists will have you dancing like Rick Astley while your partner pop n locks in the background. Sounds of the 80s play the floor fillers, party anthems, classic pop and power ballads from the most loved artistes - The Jam, Wham, Queen, Bon Jovi, Michael Jackson, Madness and many more. 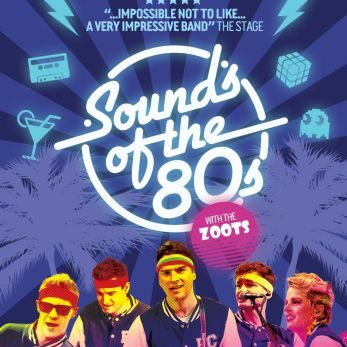 Sounds of the 80s have over 1000 live performances under their gnarly belts, and have crowds moonwalking up and down dance floors at well known venues worldwide, including Old Trafford, Hammersmith Palais, The Alhambra Theatre, The Palladium and even the Teatro dell ‘Opera! The band have worked with, and supported some of the key names of the 80s, such as Toyah, T’Pau, Bad Manners, Go West, Rick Astley, Nick Kershaw, Bananarama, Tony Hadley, Billy Ocean, Jason Donovan, Alexander O’Neal, Sonia, ABC, Five Star, Kim Wilde, Katrina and the Waves, Betty Boo, Timmy Mallet, Pat Sharp, Mike Reid, Limahl, Haircut 100, Culture Club, Modern Romance, Musical Youth, Orville and Keith Harris, Bucks Fizz and more. Learning much from their vast experience, including many 80’s festivals. Sounds of the 80s are an amazing, unforgettable tribute band.